James and family resided on the Brownlow Estate in Lurgan, County Armagh. Ann Bradshaw leased 30.5 Acres at Dromnikelly (Drumnakelly) for 21 years at an annual rent of £3.00s.00d. Ann Bradshaw (widow) £ 2.00s.00d. Reference: Richard Lee Bradshaw - " Robert Bradshaw (1658 - 1724) a Quaker, Merchant of Lurgan & Dublin. Married twice and had children but all seem to have died in childhood. Thomas Bradshaw - 18s. 0d. His wife's name is not given, probably because she was not a Quaker, and none of their children were Quakers. ................ "
Daughter of John Lascelles, Esq. James Bradshaw - 9s. 0d. How James Bradshaw, the linen manufacturer, residing in Lurgan, Co Armagh, obtained trade secrets on a visit to Holland in the early years of the eighteenth century, was related by his granddaughter Anne Jane Wightman, of Magheralagan, Co Down, on a fly-leaves of a very old book which is still preserved. The entry is undated, but on the first page of the book is Miss Wightman's name, under which is a date - June 1787. She states, among other things, that her grandfather James Bradshaw, of Lurgan. Went to Holland about 70 years ago (1717) with the object of obtaining information regarding the Dutch system of linen manufacture. He knew the Dutch guarded their secret process with great care, and in consequence did all in his power to conceal his identity. By diplomatic work he managed to gain access to the most guarded workshop. When there he regarded everything he saw with a stare of ignorance, but having a retentive memory he made notes and designs of everything that occurred to him when he returned to his lodgings. One day, when his mission was almost completed, he happened to meet a gentleman in a Public Exchange, and his discussion with the gentleman was overheard by an Irish Artisan called Dynes, who later introduced himself to Bradshaw and visited him in his lodgings. It appears that Dynes had once been in the employment of Samuel Waring, of Waringstown, a noted linen manufacturer in those days, and had settled in Holland. "I feel for you sir, said Dynes, as my countryman, and I now tell you that our diaper manufactures have recently received information regarding you. They know the objective you have in view - they have formed a due estimate of your talents, and dread the overthrow of their trade if you are permitted to return home. In short, if you do not instantly decamp, you will be assassinated." Miss Wightman adds that her grandfather took the advice and stole away under the shades of darkness. 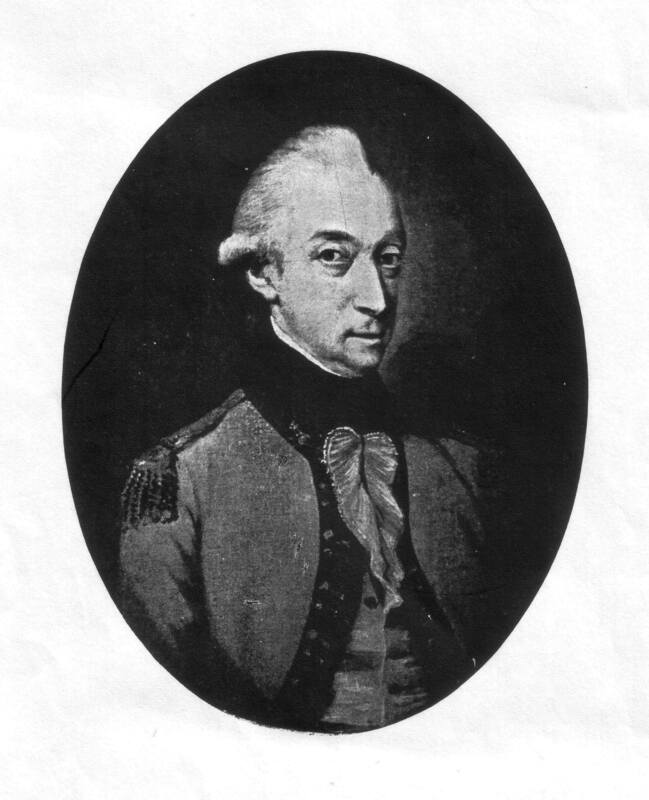 The Report of the Committee on the Letter of Richard Hall, of the 27th of May last, being read, was agreed to, and is as follows: Your Committee are of the opinion, that James Bradshaw be sent to Holland to join Richard Hall, according to his desires; and that the following Instructions be given to James Bradshaw, to be observed by him and Hall, during their being abroad. You are to inform yourself on your arrival in Holland, of the manner of cultivating, raising, and dressing of Flex and Hemp throughout those parts; whether the Flax or Hemp be raised by farmers or countrymen, or by men that make a trade and profession of so doing: if you discover that there is any art or mystery used by those who cultivate and raise the Flex or Hemp, not known or practised in this Kingdom, you are to use your utmost endeavours to procure one of those sort of persons so skilled as aforesaid, to come over thither, and settle in this Kingdom, on the best terms that you and Richard Hall can make with him. You are to observe the Flax and Hemp dressers in those parts, if you do find them exceed those in this Kingdom, whether it be. Watering, Swingling, Hatcheting, or Brushing, on any other ways of dressing Flax; you are in like manner to procure one of the most skilled in these arts and mysteries, to be sent hither. You must observe where the best Spinners are in those countries, what sort of Wheels they make use of; if you find that in some countries where they spin the Linen-cloth, called Shirting, an a different manner from any other sorts of Cloths, you are to observe the same, and register it, to the end you may inform the people of this Kingdom, how to conform thereto; You must take care, likewise, to send us patterns of the several sorts of Wheels you observe used in those countries: You must be sure to send us over one of their best spinners, if you perceive that they can teach and instruct our people in a better manner of Spinning that that is at present used in this Kingdom. You must be exceeding`ly careful to observe and discover, as far as in you lies, all the mysteries relating to the Weaving Trade; if you find that they make use of any Looms, Gears, or other utensils not commonly used in Ireland, and requisite to improve the Linen or Hempen Trade, be you sure to send one or two of each sort of these hither. If their Weavers exceed ours, and that in your judgement our people here cannot be instructed by you at your return, you must send hither such artist or artists in the Weaving Trade, as will most conduce to the benefits and advantages of it in Ireland. You are to inform yourself in all the branches relating to Bleaching, where you discover that there are certain secrets which are made use of in the trade; you are to procure a skilled Bleacher to come hither, on the best terms that you and Richard Hall can make with him. You are to inform yourself, at what prices the several sorts of Hemp or Flax are sold at, in the several countries you resort to, the prices of the several sorts of Yarn, the wages given to Weavers, Bleachers, &c. and gain each man makes by his trade in these countries. Having dispatched your business in all the places capable of improving you and Richard Hall, in all the mysteries relating to these trades, you must each to you repair to Flanders, and there put in practice the same things you are directed to perform in Holland; where if you find there persons better skilled in any of the above-mentioned branches of the trade, or any engines more proper for the working herein, or commonly used there, you are to send over hither the most skilful in these mysteries you can procure; and likewise one or more of their engines of each sort, whereby others may be made in this Kingdom. If you can produce in Flanders, a good Bone Lace Weaver, capable of instructing, the youth of this Kingdom in the art of weaving all sorts of Lace, take care to send one or more hither, on the best terms you can possibly agree. If you observe there are any sorts of Linen, or other merchandise mixed with Linen, made in Holland or Flanders, which would be a good commodity here, or that my vend to foreign parts ith advantage, you are to pry into the same and acquaint. us therewith, to the end you may receive our directions thereon. Having dispatched your business in Flanders, you and Richard Hall are to repair to Picardy, Normandy, and Brittany, to make the same observations you made in Holland and Flanders; but more particularly with relation to the Dowlass, and other plain and coarse Linen made in those countries. If there are any mysteries practised in any of those countries, not practised in Holland and Flanders, and which cannot yourselves communicate to the people of this country on your return, you are to take care to send artists in the several branches hither. You are to do the like with regard to their ashes, or any other.foreign materials, where and how they are supplied therewith, and at what expense. Ordered, That it be an addition to the instructions of James Bradshaw and Richard Hall, that they diligently enquire into the methods used in Holland, for the dying of Linen Yarn Colours in Grain, and that wash, and that they look out for some persons well skilled in the art, and make an agreement with him to come over here to instruct others; and that the Secretary write to Richard Hall, to direct him to make such enquiries forthwith, till Bradshaw come to him. Statistical Survey of the COUNTY OF ANTRIM with OBSERVATIONS on the MEANS OF IMPROVEMENT: drawn up for the consideration, and by direction of the DUBLIN SOCIETY. In 1728, Mr James Bradshaw presented a paper to the Linen Board, for the advancement of the diaper trade, and the committee sent him to Holland and Hamburg, to inform himself of the method of making diapers. In consequence of Mr Bradshaw’s observations, the trustees appointed him to provide all material necessary, and to carry on the business after the Dutch method. Elizabeth, daughter of John Greer, birth record of 29th Dec 1767 would make her only 14 at the time of her wedding, therefore there may be another Elizabeth Greer.